Unfortunately This Petition Has Closed and did not reach its needed number of signatures to be counted. Thank You for all your help and effort for signing the Petition. Endometriosis is a debilitating illness for thousands of women. Many suffer with extreme chronic or recurring pain, chronic fatigue, digestive problems, fertility problems and many have to undergo multiple surgeries, intense hormonal medication (with many side effects) or find ways of coping or fitting their lives around the intense pain they are subjected to. The Disability Discrimination Act (DDA) covers the symptoms of endometriosis such as chronic pain and chronic fatigue, but sufferers of the illness are not covered, and do not have the same rights as other people with disabiling illnesses. Endometriosis is recognised as a disability in many other countries, but not yet in the UK. 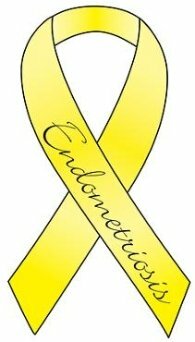 Endometriosis should be formally recognised as a disability, and covered under the Disability Discrimination Act. Have shared this on my blog also!